Better serve your Not-for-Profit organization AND ITS MISSION. The NFP Governance Essentials Program (NFP Program), presented by RBC Foundation, was jointly developed by the Rotman School of Management and the Institute of Corporate Directors. In addition to being offered in Saskatoon, the program is also offered at other leading business schools in Vancouver, Victoria, Calgary, Edmonton, Toronto, Ottawa, Montreal, St. John's and Winnipeg. Directors and Executive Directors of small and large not-for-profit organizations. The NFP Program learning environment balances diversity, experience, and the ability of participants to contribute positively within the group. To be eligible for admission, applicants should have either board experience, senior management experience, or professional experience. Preference will be given to applicants who have demonstrated experience with, or a desire to become involved in, the corporate governance of not-for-profit organizations. This fee includes tuition, all reading materials and meals during the program. Meals include breakfast, morning break, lunch, afternoon break and beverages throughout the day. After receiving his MBA and LLB from Queen’s University, Rick worked as a corporate lawyer for a national Canadian law firm. He later served as Corporate Counsel for Honda Canada Inc., before joining the University of Toronto. 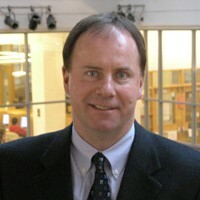 After teaching and serving in several administrative roles at the University of Toronto at Scarborough, Rick joined the Rotman School of Management in 2005. He has recently completed a 5-Year term as the Associate Dean and Executive Director of the Rotman MBA and Master of Finance Programs. Rick’s areas of expertise include corporate governance, ethics, business and corporate law and sports marketing. A recipient of numerous teaching and student awards, Rick received the Dean’s Award for Excellence in Teaching at the Rotman School of Management in January, 2013. An internationally recognized expert in both corporate and not-for-profit governance, Rick is the National Academic Director of The Directors Education Program and the Not-For-Profit Governance Essentials Program (in partnership with the Institute of Corporate Directors – ICD). 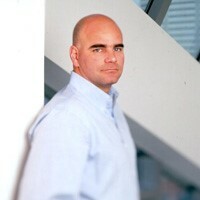 He also teaches in Rotman’s Executive MBA, OMNIUM, MBA and Executive Education Programs. He is a director of several not-for-profit organizations and frequently comments on legal and governance issues in various media across Canada. John Oesch, Ph.D, MSc, MBA, Med, BEd, BSc. John Oesch is currently teaching Foundations of Integrative Thinking and Organizational Leadership in the MBA Programs at the Rotman School of Management. He has research interests in the areas of decision making, managerial negotiations, and organizational justice. His teaching interests are in the areas of negotiation, decision making, organizational behaviour, and emotions in management. He received the Rotman MBA and EMBA Teaching Awards in 2005 and 2006 as well as the Roger Martin and Nancy Lang Teaching Award in 2009. His publication record includes the Journal of Business Venturing, Social Justice Research, Games and Economic Behavior, and Organization Science. Nouman Ashraf is Research Fellow at the Desautels Centre for Integrative Thinking at the Rotman School of Management within the University of Toronto. He possesses a broad range of professional, academic and research interests. For the last decade, he has held progressively senior roles at the University of Toronto. He has taught in the national program on Governance for Not-for-Profits across Canada through a partnership between the Rotman School of Management and the Institute for Corporate Directors since its inception. 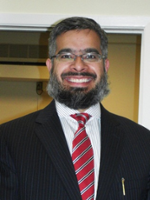 He is also the Academic Director of the Strategic Diversity Program at Rotman. He has also worked in change management consulting in the private sector. With a particular interest in understanding organizational behaviour and drivers of systems- wide cultural change, Nouman has also served as a consultant to important organizations such as the United Way of Canada, the Ontario Public Service, the Ontario Trillium Foundation, the City of Toronto, Bayer, Moriyama + Teshima Architects and numerous post-secondary institutions. He has won numerous awards for his community engagement initiatives nationally. At lunch time, he can often be found at Massey College, where he is Senior Fellow. This program was jointly developed by the Institute of Corporate Directors and the University of Toronto's Rotman School of Management. The NFP Program is supported by the RBC Foundation. A limited number of RBC Foundation scholarships valued at $1,000 are available for each offering. For more details, please refer to the application form.